Some people on our first trip got sponsorship from their employers to do their Nomad MBA; it's a great idea if you're happy with your current company, but looking to accelerate your all-round growth while having a great time. 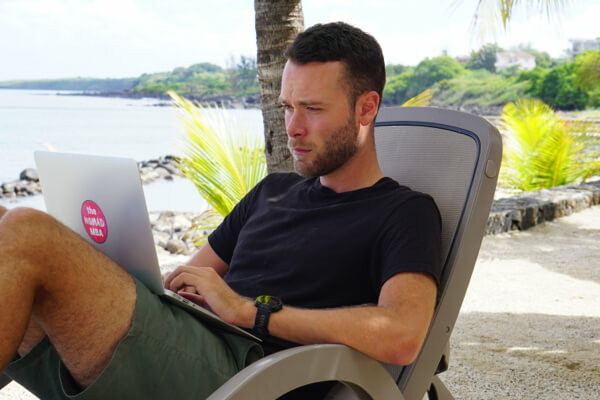 That page exists to help you convince your employer – it gives them an overview of how your Nomad MBA experience can benefit their company in a visual and concise way. A proposal – slides are a good idea – to bring to your bosses will make your case stronger. - The values of The Nomad MBA, with strong focus on education and lifelong learning. Highlight that this program isn't a holiday, but a structured journey built around accelerating your growth. Does this fit with your company's values? If so, you're onto a winner. - How the professional growth you'll get – particularly your immersive online course – is relevant to your future company role, and will make you more valuable to the company going forwards. - That the personal growth through travel, workshops, community and Remarkable Experiences relates to improved leadership skills, teamwork abilities and innovation. - The positive effect on Employee Retention for them. In terms of being a place that keeps their best employees around for longer, this helps. It's a fantastic PR piece for them – a highly visible commitment to employee growth and satisfaction that they can use internally for retention, or externally for talent attraction. - That you can still be contacted if needed while on The Nomad MBA; as you'll be in co-working spaces with fast-wifi. If you're through to the interview stage, our admissions team can help you personally with getting employer sponsorship.